Emmett Cullen’s cafeteria costume from Twilight. Emmett wore his white hoodie and white pinstriped pants when he was first seen entering the cafeteria. 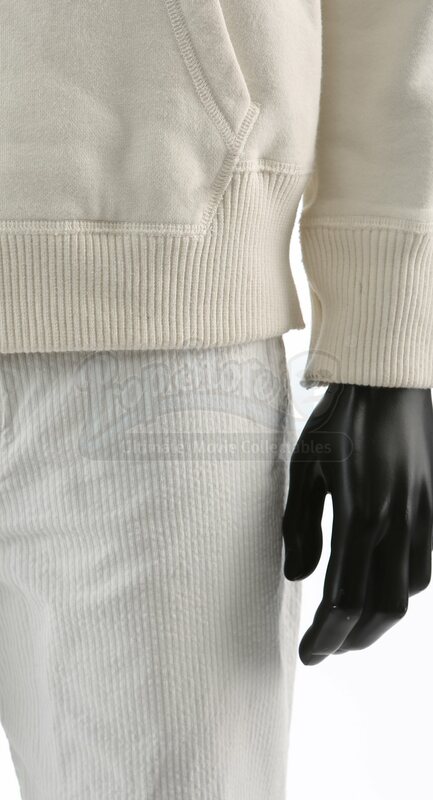 The costume includes a white hoodie, a white T-shirt, white pinstripe pants and shoes. The hoodie is made of a cotton blend fabric, buttons up the chest and collar and features a large front pocket. The T-shirt is made of 100% cotton. The pants are made of 100% cotton. The shoes are made of leather with rubber soles. The hoodie, shirt and pants are all marked ‘TW Emmett’ in black ink near their respective tags while the shoes are simply marked ‘TW.’ A wardrobe tag with character, scene and wardrobe notes is also included. The items show minor wear and remain in good condition. This is an original asset used in the production of The Twilight Saga. 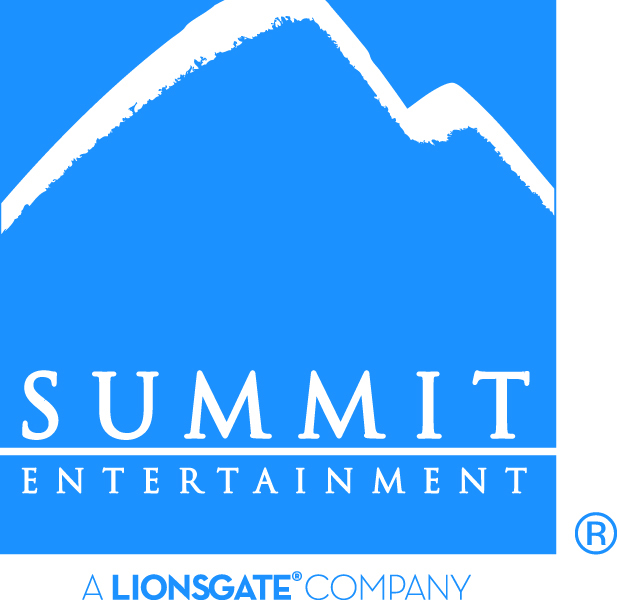 The asset is made available through a partnership between Prop Store and Summit Entertainment. This is not a replica, but rather an original item from the making of the film. The auction is being held live in Hollywood, CA at the TCL Chinese Theatres (6925 Hollywood Blvd) on November 19-20, 2016. Bidding can be done in person, via the Prop Store’s online auction platform, or by telephone. Buyer's Premium of 20% will be added to all winning bids. 3% Buyer's Expenses will also be added to all lots won online. An additional 2% of the aggregate amount of the Hammer Price, Buyer's Premium and Buyer's Expenses will be charged for any lots settled via Credit Card. For all sales within California, sales tax at the prevailing rate (currently 9%) will be applied to the Purchase Price. Delivery addresses outside California will be exempt from sales tax. Unless you have been approved for a payment plan (see below) payment of the invoice is due within 7 business days from receipt of the invoice and must be made by the Buyer. Payments from any other source will not be accepted and shall be returned by Prop Store. Payment plans over a maximum of 6 months are available for any lot. Payment plans require an immediate 20% non-refundable down payment. The balance can be paid off in equal installments over the next six months. All funds are non-refundable. No cancellations, transfers, or exchanges will be accepted. Your piece will be safely set aside for you and will ship once the balance is settled in full. The Buyer is solely responsible for all shipping, handling, and delivery costs. Prop Store can help you arrange packing and shipping through FedEx for smaller items or PackAir Airfreight, Inc. for larger items, or you can use your own licensed carrier, approved by Prop Store. Customers are strongly advised to request a shipping quote prior to bidding. Email here and we will aim to provide you with a comprehensive shipping quote within 1 working day, though freight quotes for oversized items may take longer. Please be advised that certain Lots are highly fragile and should be handled with caution. Prop Store recommends that the Buyer collect such Lots locally from Prop Store if possible. The Twilight Saga ®, TM & © 2016 Summit Entertainment, LLC. All Rights Reserved. These Terms and Conditions of Sale (“Conditions”) set out the agreement between the Bidder/Buyer, on the one hand, and Prop Store and the Seller, on the other hand. By registering to bid and participate in a Prop Store Auction, you will be deemed to have read and agreed to be bound by these Conditions and the accompanying Buyer’s Guide, as set forth in the catalog for the Auction and online at www.twilightsagaauction.com. 3.1.2. To register, each person or Company must complete and return a bidder registration form available in this Buyer’s Guide or online at www.twilightsagaauction.com, which must include valid Visa, MasterCard or American Express credit card details to be held on file. 3.1.4. Any person seeking to participate in the Auction as an agent on behalf of a registered principal must complete and submit an Agent Information Form, and provide an up-to-date, valid government-issued photo identification (e.g., passport, driver’s license), as well as a written authorization from the principal confirming the agent’s authority to participate at the Auction on the principal’s behalf. The Agent Information Form may be obtained by contacting Prop Store. 3.1.5.4. Inform the Bidder about other auctions, products and services provided by Prop Store and its affiliates (please contact Prop Store by email at enquiries@propstore.com or by phone +1 818 727 7829 if you do not wish for your information to be used for such a purpose). 3.1.6. By participating in and/or attending the Auction, each Bidder consents to being filmed, videotaped, recorded, and/or photographed. Additionally, by signing the registration form, each Bidder authorizes and grants to Prop Store and the Seller (and each of their respective parents, subsidiaries, affiliates, and designees) the unlimited right and permission to use, and to authorize third parties to record and/or use, my name, picture, likeness, and/or voice, and any material based thereon or derived therefrom for use in any manner, and in any venues, productions and/or media whatsoever, whether now known or hereafter devised, anywhere in the world in perpetuity, for any lawful purpose, including without limitation in connection with (1) providing online access to the Auction, (2) recording the results of the Auction, (3) print, digital, online, and all other media for marketing purposes (including without limitation, on Prop Store’s website, YouTube and other online platforms), and (4) in any other Prop Store or Seller publications of whatever nature. Prop Store or the Seller shall own all right, title and interest in and to any footage, photographs and/or other recordings of the Bidder, all of which shall constitute work made for hire, or if for any reason are not considered to be a work made for hire, the Bidder assigns to Prop Store and the Seller all right, title and interest therein. The Bidder understands that Prop Store and the Seller are incurring expenses and/or undertaking commitments in express reliance upon the foregoing grant of rights and the Bidder agrees that the Bidder shall not have the right to terminate or rescind this grant of rights or to enjoin or restrain, or to seek to enjoin or restrain, the production or exploitation of any of the foregoing. The Bidder releases Prop Store and the Seller and each of their respective parents, subsidiaries, affiliates, and designees) and holds them harmless from any reasonable expectation of confidentiality or privacy associated with such images and releases Prop Store and the Seller and each of their respective parents, subsidiaries, affiliates, and designees) and any third parties involved in the making, creation or publication of the images or any marketing or other materials derived therefrom from all and any liability for claims made in respect of such publication. Prop Store and the Seller (and each of their respective parents, subsidiaries, affiliates, and designees) shall have the unrestricted right to edit and modify any materials created pursuant to this paragraph, and Bidder shall have no right of approval, no claim to compensation, and no claim (including, without limitation, claims based upon invasion of privacy, defamation, moral rights, or right of publicity) arising out of any use, blurring, alteration, distortion, illusionary effect, and/or faulty reproduction, and/or use in any composite form of such materials and/or the Bidder’s name, picture, likeness, voice, or biographical information. The Bidder shall indemnify and hold harmless Prop Store, the Seller, and their respective officers, directors, members, shareholders, agents, employees, representatives, heirs, successors, licensors, and assigns, from any and all actions, claims, loss, damages, and other costs and expenses (including, without limitation, reasonable attorneys’ fees) arising out of or relating to the Bidder’s breach of any representations, warranties, or agreements in this paragraph. 3.3.1. At Bidder’s request, without any liability therefor, Prop Store can provide shipping estimates before the Auction. Any Bidder requesting this information should email supportla@propstore.com including the Lot number and shipping address at least 5 days before the start of the Auction. 4.1.1 This is a Reserve auction. Pre-sale estimates are intended as guides for prospective Bidders and Prop Store makes no representation or warranty of the anticipated selling price of any Property. No estimate anywhere in any media by Prop Store of the selling price may be relied upon as a prediction of the actual selling price. Notwithstanding the same, until the start of the Auction by the auctioneer, Prop Store may, in its sole discretion, withdraw any Lot from sale at Auction. 4.1.2 The majority of the Lots in this auction are sold without a Reserve. Pre-sale estimates are intended as guides for prospective bidders only. Estimates do not indicate the sales price for any Lot. Certain Lots are sold with a Reserve. A Reserve is the confidential minimum price the Consignor is willing to accept to sell the Lot. These Lots will only be sold if the Reserve is met. 4.2.5. The auctioneer may accept bids from Bidders present in the sale room, via telephone, or via online at the time of the Auction. The auctioneer may also accept proxy or absentee bids delivered to Prop Store before the start of the Auction. Proxy or absentee bids must be submitted either by using the form in the Buyer’s Guide or the online form at www.twilightsagaauction.com. Proxy or absentee bids will be executed at the lowest possible price. If Prop Store receives proxy or absentee bids on a particular Lot for identical maximum bids, and at the Auction these are the highest bids on the Lot, it will be sold to the Bidder whose written bid was first received by Prop Store. 5.1.3.2. If the 2-month payment plan is selected: 40% of the Purchase Price shall be due within 30 days of the close of the Auction; 40% of the Purchase Price shall be due within 60 days of the close of the Auction. 5.1.3.3. If the 3-month payment plan is selected: 26.66% of the Purchase Price shall be due within 30 days of the close of the Auction; 26.66% of the Purchase Price shall be due within 60 days of the close of the Auction; and 26.68% due within 90 days of the close of the Auction. 5.4.1. Except where expressly stated to the contrary above, under no circumstance will Prop Store or the Seller incur liability to any Bidder or Buyer in excess of the purchase price actually paid. 7.4. Bidders are aware that description revisions may occur on some Lots, and should inquire before the Auction whether any description revisions have occurred on a given Lot and/or examine a lot before bidding on it. Prop Store will make all reasonable efforts to make description revisions readily available during the Auction. While Prop Store uses reasonable efforts to include accurate and up to date information in this auction, Prop Store makes no warranties or representations as to its accuracy. Prop Store assumes no liability or responsibility for any errors or omissions in the content of the auction. Any reference images appearing within Prop Store's auction listings are solely for reference purposes and are not intended or deemed to be a representation or warranty of the item depicted within the image. 7.5. All items are sold as collectibles and/or memorabilia for display purposes only, and are not deemed, intended, represented, or implied to be fit for any other purpose. The Buyer assumes all risks of loss and/or injury, including, but not limited to, personal injury or property damage, arising from or related to any other use of the item. The Buyer understands and agrees that Prop Store shall have no liability for any such loss or injury and the Buyer expressly releases Prop Store from any such loss or injury. 7.6. Except as expressly provided herein, Prop Store and the Seller shall have no liability to any Bidder or Buyer with respect to any Lot and all and any implied warranties and conditions are excluded to the fullest extent permitted by law. 7.7. Each Bidder and Buyer expressly agrees that Prop Store shall not be liable in whole or in part, for, and no Bidder or Buyer shall be entitled to recover, any special, indirect, incidental or consequential damages including loss of profits or value of investment or opportunity cost, for any breach of any warranty, representation, or guarantee set forth herein.